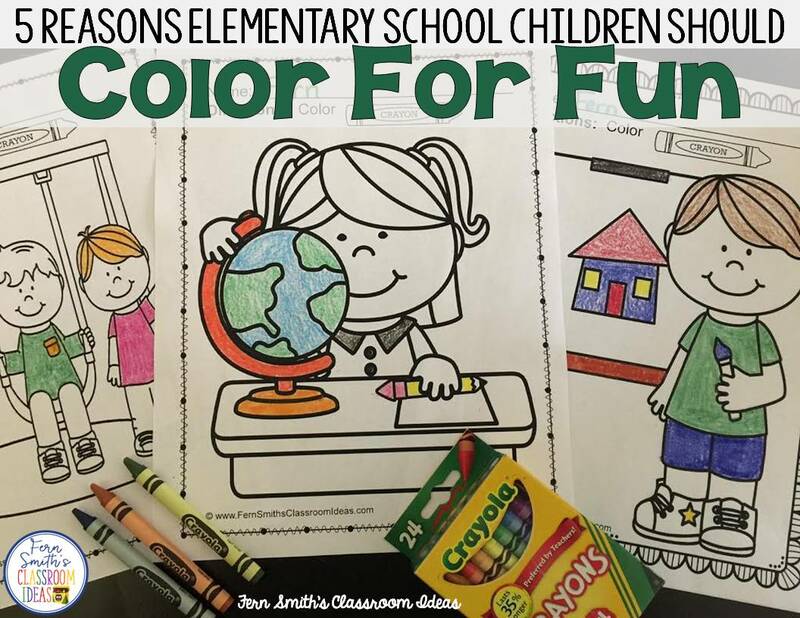 Five Reasons Elementary School Children Should Color For Fun! 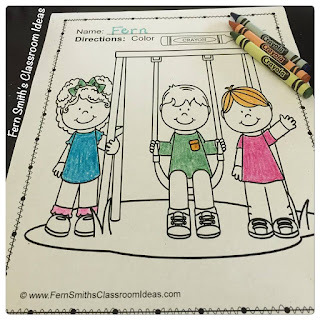 Hello, I'm Fern Smith of Fern Smith's Classroom Ideas guest blogging on Jenny's Crayon Collection blog. When I first started creating my coloring book series, I had some negative feedback about them not being educational. These people had never step foot in a classroom, let alone spent time with young, primary students. Today I'll touch on my five most important reasons that children should have time to color. 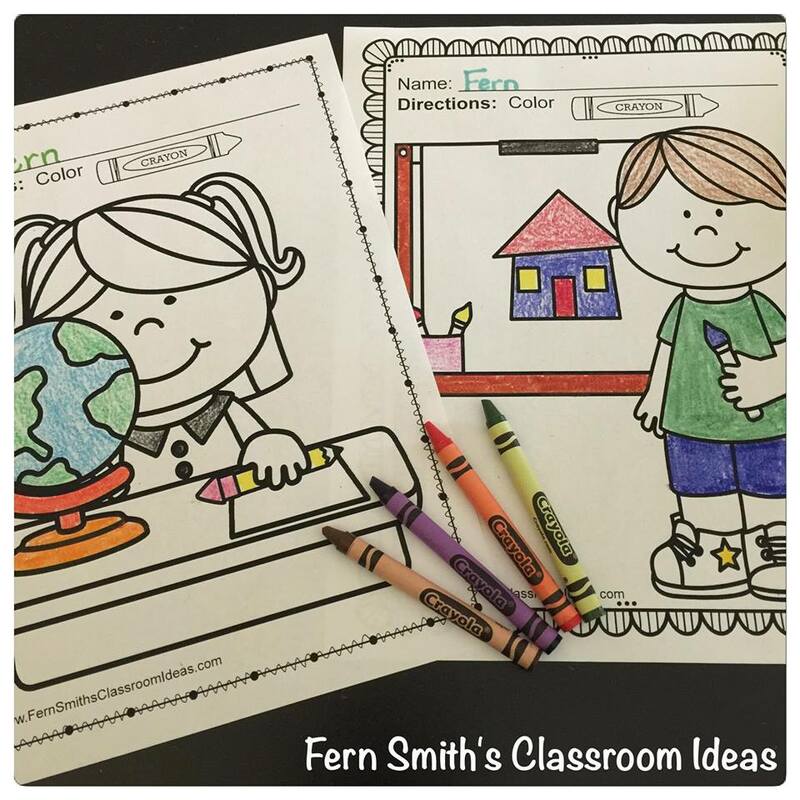 If you would like to read more, I invite you to visit my blog, Fern Smith's Classroom Ideas. So, the big question... Why? Why should children, between the ages of 5 and 10 years old be allowed to color? * First instinct as someone who was once a child, because it is fun. * Next instinct as a mom, because it is fun. * Third, as a teacher, because it is fun. * My fourth thought, as a human being, because it is fun. * My fifth point, WHY are we even asking this question? Sadly schools are all about OVER-TESTING, we need to bring back some more F.U.N. Period end of discussion. No, not really, I have more to say, but you might see the trend in my thoughts, "because it is fun!" In a world that now sells ADULT COLORING BOOKS at every grocery check out stand, we have PROOF that many generations were denied this pleasure, this wonderful, creative, stress relieving amazing pleasure! Like puzzles... how many of your students have no idea how to start a puzzle? To sort the edges, to clump by color? Sorry, I wander, that will be a post for another day. 1. Improved Handwriting - Children need hand strength and dexterity to hold and manipulate a pen or pencil. Using free coloring time can allow children to develop muscle strength and eliminate the need for future correction of an incorrect pencil hold. 2. Coordination - Coloring is a favorite pastime activity for children, so we can use that excitement to better develop their eye hand coordination. 3. Relaxation - In our new, technologically advanced world, children have images and sounds bombarding them 24 hours a day, 7 days a week.... coloring allows children time to decompress. The soothing nature of coloring helps aid in learning self-relaxation skills. 4. Concentration - Concentration is one very important skill that comes naturally to a child coloring. Children that spend their time coloring learn patience and develop a sense of pride in the accomplishment of a finished product. 5. 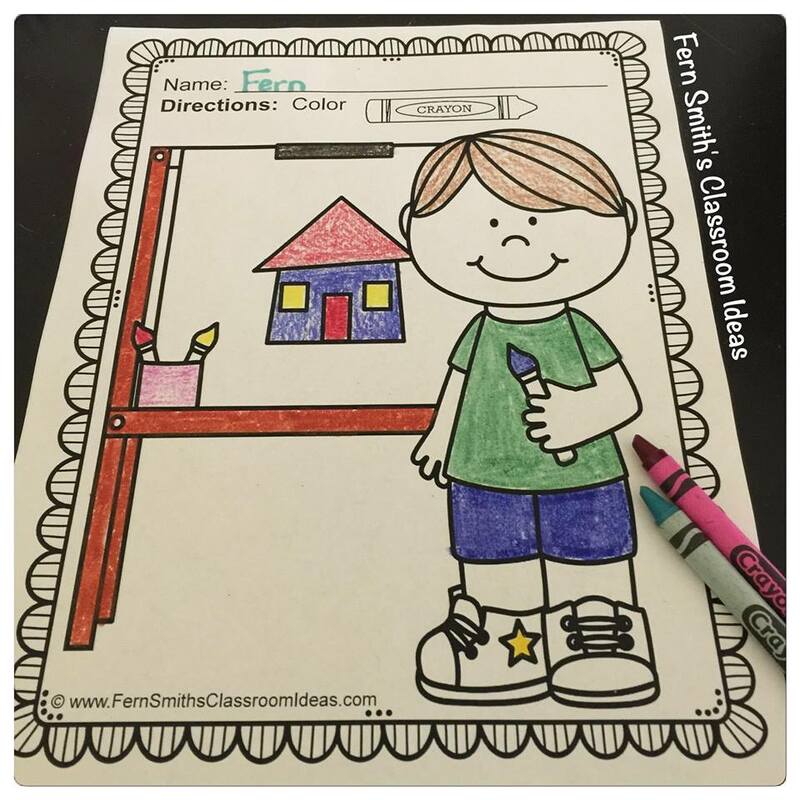 FUN - Yes, coloring is academic and necessary for younger, primary children, but it is also fun for your intermediate students. In our OVER-TEST-DRIVEN classrooms, these children are still 9 and 10 years old. NINE.AND.TEN.YEARS OLD.....life will become challenging soon enough for our students. 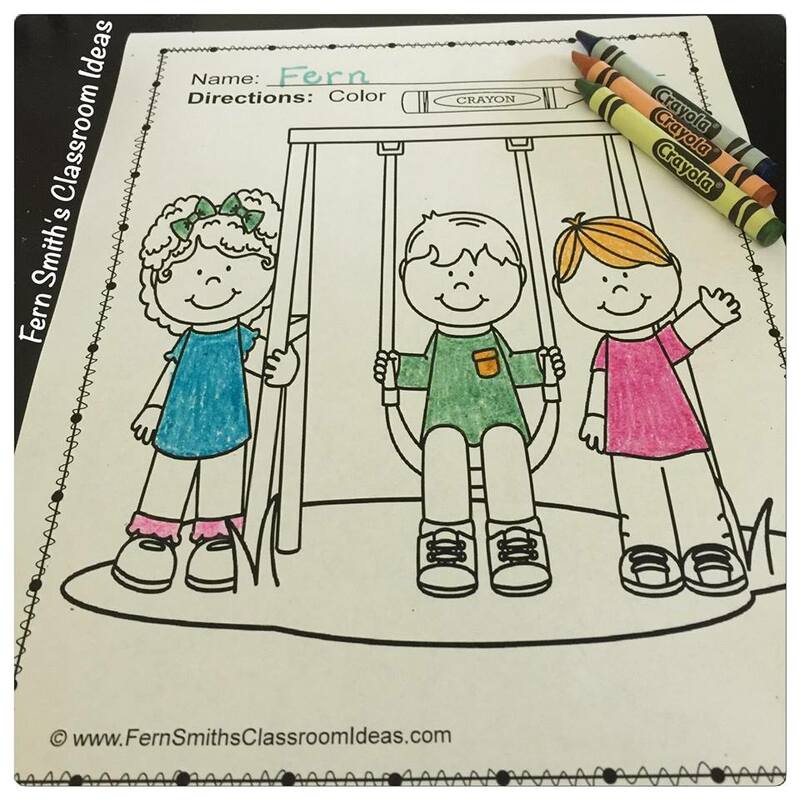 A 10 minute coloring brain break, or 20 minute indoor recess coloring break will not kill them, or your data. With over 12 million adult coloring books purchased in 2015, don't you think we need to bring coloring back for our children? I have created many Coloring eBooks that are available in my TpT store. Even against some early criticism, I held firm in my believes that children need time to color and express themselves. When you go to my TeachersPayTeachers store, you can even sort by Free to try a free page or TEN for yourself! It's been a pleasure to be here today for Jenny, I invite you to visit my blog and say hello!